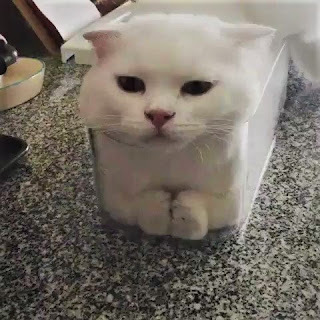 his technical function of squeezing into boxes? Yesterday, the ongoing battle between the “multiplicity of forms” and the “no-aesthetic-considerations” theories in design law took another turn. For those practising design law, you may recall that there is an outstanding question on how to interpret Article 8 of the Community Design Regulation (CDR). According to Article 8(1) CDR, a community design shall not subsist in features of appearance of a product, which are solely dictated by its technical function. The practical difficulty is in determining whether, or not, the appearance of a product is solely dictated by its technical function. The debate lies in the interpretation of the word “solely”. In the past, especially in the continental European case law, the so-called “multiplicity of forms theory” was used to determine if a design was solely dictated by its technical function. The “multiplicity of forms” theory says that it is decisive if there is an alternative design possible (if there is, a design cannot be said to be "solely" dictated by its function). 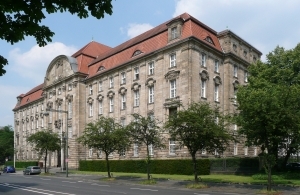 This theory was not only used by the German case law (Higher Regional Court Düsseldorf, GRUR-RR 2012, 200, 205 – Tablet PC; District Court Düsseldorf, BeckRS 2015, 05506 – Dental-Mischer; Higher Regional Court Düsseldorf, BeckRS 2007, 11285 – Autofelgen), but also in the practice at the EUIPO (HABM-NA ICD 000 003 150, 03 April 2007 – Häkselschneider (No. 20); HABM-ICD 000 002 590, 14 March 2007 – Stempel (No. 27), HABM-NA ICD 000 003 382, 27 August 2007 – Staubsauger (No. 8)), as well as other European courts (Court of Appeal, Landor & Hawa International Ltd. v. Azure Designs Ltd  EWCA Civ 1285, No. 30 ff.). The opposing theory is called “no-aesthetic consideration”. According to this theory, it is decisive if only technical reasons were used to design the product. Whether or not there are existing design alternatives is, according to this theory, not decisive. The latter approach has its origin in a 1971 decision from the UK courts which referred to former English law (Amp Incorporated v. Utilux Oty Ltd  RPC 103) even though that decision was never adopted for community designs. The UK courts had more or less also used the “multiplicity of forms” theory in the past. However, there has been recent movement in the theories deployed by various courts/tribunals. The EUIPO is now using the “no-aesthetic consideration” theory, ever since the so-called Chaffcutters-decision of the EUIPO (690/2007-3 - Lindner Recyclingtech GmbH v. Franssons Verkstäder AB, No. 30 ff.). The criticism that the EUIPO wielded against the “multiplicity of forms” theory was that this theory would apply only in relatively few cases as there are usually many alternative designs which have more or less the same technical function. Therefore, there is a danger that by virtue of one technical function, a design right owner's monopoly could extend to a number of multiple design alternatives. The same criticism was raised in a decision by Mr Justice Arnold in Dyson Limited v Vax Limited  EWHC 1923 (see ,). (1) Are the features of appearance of a product solely dictated by its technical function, within the meaning of Article 8(1) of [Regulation No 6/2002] which excludes protection, also if the design effect is of no significance for the product design, but the (technical) functionality is the sole factor that dictates the design? Even though the questions were referred to the CJEU in the Summer of 2016, the statement of the European Commission has only now been accessible. The Commission argued that there is a need for the free availability of technical solutions outside of the patent law context. To support this argument, the Commission referred to the Lego Juris decision of the CJEU (although this decision was made in the context of trade mark law). What is remarkable is that in the hearing of the DOCERAM case the Düsseldorf Court read the Lego Juris decision of the CJEU and argued that the avoidance of a technical monopoly is also valid for design law. The Düsseldorf court was worried that the CJEU would broaden the application of Article 8 CDR. In such a scenario, the fear was that design alternatives would not be sufficient to avoid Article 8 CDR. The Court argued that it should be possible for a competitor to use that design alternative. If that design alternative is already protected it cannot be deemed as a design alternative. Furthermore, any design alternative has to be able to be protected as a design on its own. The fear of the possible imminent change by the CJEU of designs case law led the Düsseldorf court to dismiss a preliminary injunction for a product which also had technical features. The Advocate General issued his opinion on 19 October 2017. In my view, the Advocate General's Opinion is essentially in line with the Commission's opinion. One small difference is that the Advocate General does not want to allow pre-formulated criteria for checking whether "the creative effect had no significance for product design". He even defends himself against a non-exhaustive list of criteria. In his view, the Court of First Instance must take into account all circumstances relating to the choice of the characteristics of the appearance. The Advocate General also agrees with the Commission that the existence of a design alternative (or the designer's subjective intention) can still be taken into account in the assessment. However, these factors alone are not suitable for determining whether (technical) functionality is the only factor determining design. Finally, the Advocate General suggests that the courts should obtain expert opinions on the relevant questions. Yesterday, the CJEU issued its decision these questions. It rejects the view that the existence of a design alternative is decisive. In doing so, as the Advocate General has already done in his Opinion, the CJEU follows the "no-aesthetic-considerations" view. In order to determine whether a characteristic of a product is caused exclusively by the technical function, you must determine whether this function is the only factor that determines the characteristic. 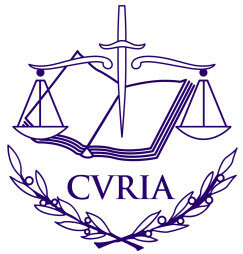 In particular, the CJEU rejects the view that one design alternative is sufficient for determining that the characteristic of a product is caused exclusively by the technical function, as otherwise there is a danger that the Community design will achieve protection equivalent to patent protection when it is applied. Such exclusive protection of a technical solution, the decision stresses, should only be possible under the conditions of patent law. The CJEU’s wording is clear: it has to be determined “where considerations other than the need for that product to fulfill its technical function, in particular those related to the visual aspect, have not played any role in the choice of those features, even if other designs fulfilling the same function exist”, or in other words: whether the function is the only determining factor. This means that the designer must have been persuaded by the technical function to choose the appearance of the product. Since the CJEU has decided against the design alternative by answering the first question, it also answers the second question submitted by the Higher Regional Court of Düsseldorf. In doing so, it again follows the Opinion of the Advocate General. When assessing whether the characteristic is solely determined by the technical function, it should not depend on the view of an "objective observer". The national court must assess all objective, relevant circumstances of the individual case in order to clarify whether the characteristics of a product in question fall within the scope of Article 8 (1) CDR. In doing so, the objective circumstances should be taken into account, from which the motives for the choice of appearance characteristics become clear. Information on the use of the product or the existence of alternative designs may also be important. In any case, the national court must always appreciate all objective and relevant circumstances of the individual case. A design alternative can therefore flow into the decision, but not as a decisive factor. I am not totally convinced by the reasoning of the CJEU. In my opinion, it is rather clear that the high level of technical protection under trade mark law cannot also be true for designs. This is not only due to the fact that, in contrast to trade marks, a design cannot be protected for more than 25 years. It is also based on the premise that in a market of a limited number of designs, there cannot be the right for a competitor to use one of those designs. It is not part of the free market that there should be free available workaround for designs. If no free workaround is available a competitor should take a licence. If the German courts were now to adopt the line of reasoning as expressed above this could lead to a situation in which a copying competitor would be treated better than the infringer of a patent. The infringer of a patent does not have the possibility to defend itself with the argument that he needed to infringe the patent because there is no unpatented alternative left. Yesterday's judgment of the CJEU will make it much more complicated to counter an Art. 8 (1) CDR defence. Now the plaintiff needs to prove that the design was not solely based on technical considerations and must rely not only on design alternatives but also on other evidence. However the CJEU does not give guidance what kind of evidence could be used. It will take a fair amount of time for the national courts to establish a harmonized practice on how to implement this judgment." Very clear judgment. And quite a victory for the United Kingdom, it would seem reading the AG's opinion against the judgment. Essentially though a victory for competition in the market place and builds on Acacia. The "multiplicity of forms" was a contorted monopolistic approach. I think the poster means there should be a low threshold (not level) of protection for designs. Therein is the problem -the effect of a low threshold is over protection. Why should the market tolerate 25 years of that for something that does not merit it e.g. nuts and bolts. Lego Juris is therefore very relevant. This is nonsense. (1) A design is not a patent (and vice versa) and there is no public interest in a total tie up of the market with no space between any of the rights. (2) The German courts are obliged to adopt the reasoning or be in breach of the CJEU's rulings. "If the German courts were now to adopt the line of reasoning as expressed above this could lead to a situation in which a copying competitor would be treated better than the infringer of a patent. The infringer of a patent does not have the possibility to defend itself with the argument that he needed to infringe the patent because there is no unpatented alternative left."